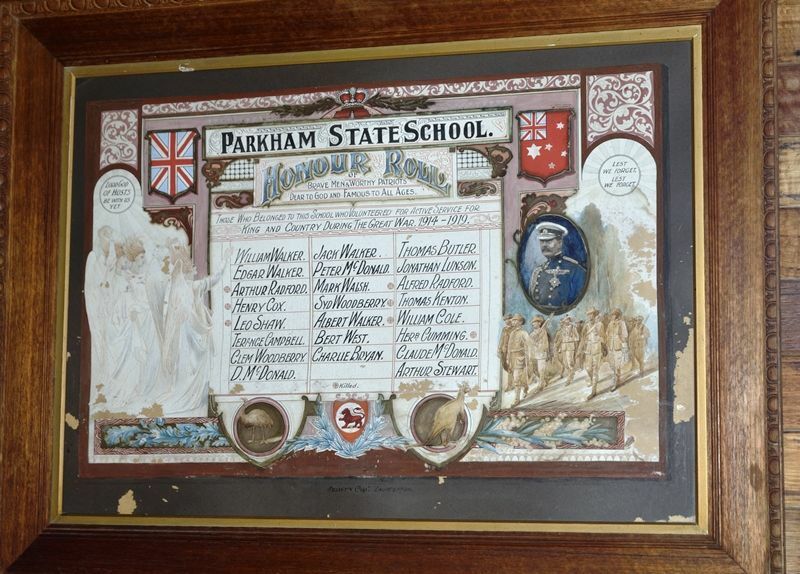 A framed paper honour roll commemorates former school students who served in World War One. Dear to God and famous to all ages. Those who belonged to the school who volunteered for active service for King and country during the Great War. 1914 - 1919.